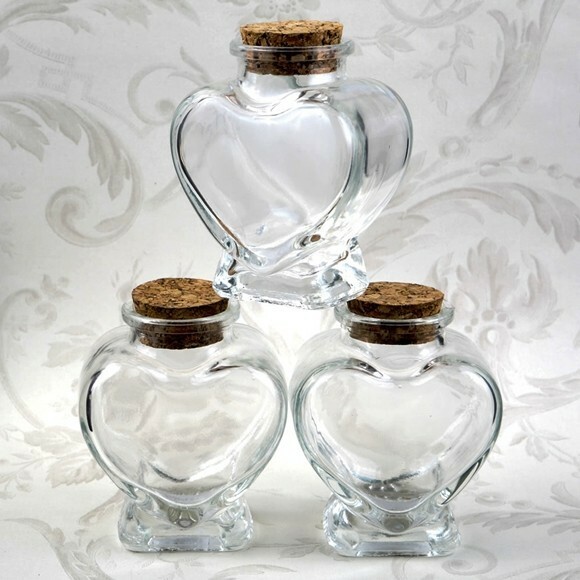 From FashionCraft's "Perfectly Plain" Collection, these charming heart-shaped glass jars are perfect favor containers for your wedding reception or other love-themed celebration. Your guests will love taking them home for future use. Each3-fluid-ounce capacity jar features a flat base and a removable cork stopper for a tight seal. Sold individually, each glass jar comes bulk-packed.